Dr. Cassenti joined the Department of Mechanical Engineering in 2009. Professor Cassenti received his B.S., M.S. and Ph.D. degrees from the Polytechnic Institute of Brooklyn in 1968, 1969, and 1972. At the Polytechnic Institute of Brooklyn he worked on re-entry vehicles and heat transfer. He joined Bell Telephone Laboratories in 1971 where he worked on a variety of military projects. 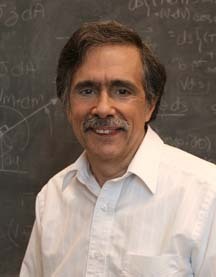 In 1976 Dr. Cassenti joined the staff at United Technologies Research Center where he worked on non-linear finite element modeling, material modeling, supercomputer programming, and advanced propulsion. Dr. Cassenti joined Pratt & Whitney in 2001, where he developed probabilistic design methods for use in gas turbine engines. Dr. Cassenti has been teaching since 1980 at Rensselaer and at the University of Connecticut, and joined Rensselaer at Hartford in 2007 where he taught graduate level courses in engineering. He is an Associate Fellow of the AIAA.